Last year Jenny Armstead and friends launched a fundraising campaign in memory of their beautiful friend Carol Ann (#CAN). The aim was to have plenty of fun whilst raising funds for Get A-Head and to date they have raised a fantastic £21,000 to support our research. 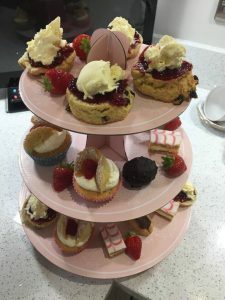 Joanie hosted a #CAN DO AfternoonTea. 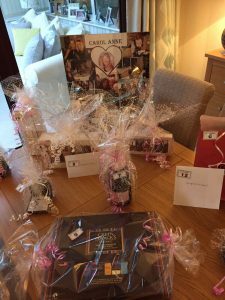 She gathered together a group of friends & family who knew & loved Carol, sold tickets for the event along with raffle tickets. The AfternoonTea event would have been more aptly named #CAN DO AfternoonProsecco as the teapot didn’t make an appearance! Cakes were baked by Wendy Woodhead, scones which were yummy by Joanie’s nephew David Parry. Sheila Scarisbrick also did a lot of baking. Prizes were donated by Alan & Andrea Clay-Johnson, Graham & Brown, Pam Howarth, Claire Ferguson, Doreen Cochrane, Wendy Woodhead, Joanne Sharp, The Salon in Norden beauty parlour, Celeste Arnold Hairdressers and Jenny Armstead. 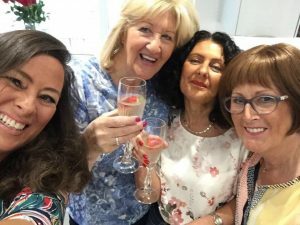 Joanie organised this fabulous event, opened up her home, provided all food & drink, sold tickets & raffle tickets and gave a big dollop of love fun & laughter to honour the memory of an amazing friend. The neighbours all chipped in to buy the leftovers! 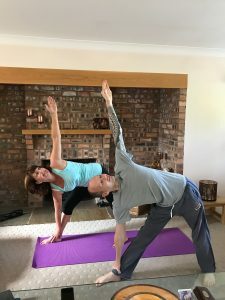 Jenny Armstead went on to organise a #CAN DO Yoga weekend to support the fundraising. Jenny and eight of her friends thoroughly enjoyed attending a Lakes weekend retreat run by Mike McCabe of Yoga Cheadle www.yogacheadle.com. 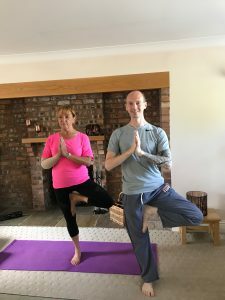 They had six yoga sessions over the weekend, enjoyed forest walks, experienced reflexology, tasted fabulous vegan food all in luxury accommodation & plenty of chill time in scenic surroundings. All the accommodation, food & associated costs for the weekend were covered by the event sponsor and The Forestry Commission generously gave the group use of the Yan in Grizedale Forest free of charge. This meant that all money donated by the participants for the #CAN DO Yoga event was donated to Get A-Head and raised around £1500 to add to the £21,000 they have raised so far for the #CAN funding stream into Get A-Head.